TEHRAN (FNA)- The Iranian government approved a bill to establish the Armed Forces Marine Industries Organization in a move to enhance the country’s deterrence and military power. In August, Iranian Defense Minister Brigadier General Hossein Dehqan underlined Iran’s self-sufficiency in the marine industry. “We can design 500-ton submarines from top to toe and we are moving towards new propulsion systems to decrease the noise and increase their durability in water,” Dehqan said, addressing a ceremony to unveil two new home-made cruise missiles and two new drones in Tehran participated by President Hassan Rouhani and other senior officials. Also, a senior Iranian military official announced in October the country’s self-sufficiency in building light submarines, adding that Iran plans to unveil new submarines soon. There are three classes of submarines, Head of the Navy’s Research and Self-Sufficiency Jihad Office General Ali Gholamzadeh said, adding that Iran had attained self-sufficiency in building “light” submarines. Also in September, Gholamzadeh announced the country’s plans to launch Fateh submarines and different Mowj Class destroyers in the near future. Gholamzadeh said Damavand destroyer is more equipped than Jamaran, although Jamaran itself has also been equipped with a number of Damavand’s equipment, including ‘Asr’ radar system. He also announced that the construction of Fateh, a semi-heavy submarine with abundant possibilities, had ended, and the vessel is now under tests. Iranian Navy Commander Rear Admiral Habibollah Sayyari announced in August that the country had gained the capability to launch production line of destroyers, and also announced plans to launch a new submarine in the near future. “Today, the Navy has acquired the capability to launch the production line of destroyers and our project for building destroyers has started at the order of the Supreme Leader since a while ago and we are witnessing newer and more updated achievements in this project now,” Sayyari told reporters in Tehran. He said that Iran’s new destroyer named Sahand is 30% more advanced than the country’s first destroyer, Jamaran. Sayyari also said that Iran would launch its new submarine, Fateh, on the Navy Day (November 28). 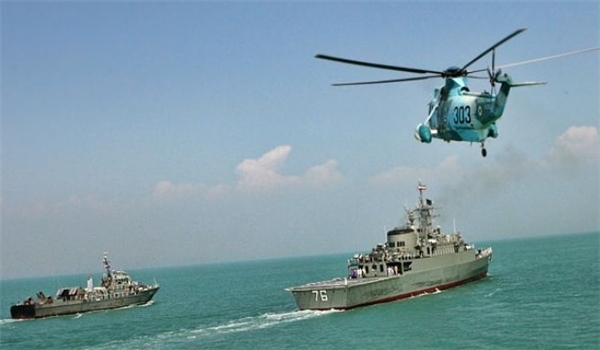 Sayyari in July announced the Iranian Navy’s plans to launch one of its advanced home-made destroyers, named Damavand, in the country’s territorial waters in the near future. “Destroyer Damavand will join the Islamic Republic of Iran’s Navy in the near future,” Sayyari told FNA. Army officials said the Iranian Navy’s power of safeguarding the country’s territorial waters as well as maintaining security in regional and international waters will increase after the launch of Bayandor. Overhauling the main engines, heat exchangers and fuel and oil systems as well as optimizing the monitoring control systems are among the measures adopted before launching the destroyer. Navy experts have also mounted a fire control system for the destroyer’s weapons, a 76-mm and a 40-mm canons and a surface-to-surface Nour (Light) missile system on the destroyer. Iran’s first home-made destroyer, Jamaran, was launched in late February 2010. The Mowdge Class vessel has a displacement of around 14,000 tons and is equipped with modern radars and electronic warfare capabilities and is armed with a variety of anti-ship, surface-to-surface and surface-to-air missiles.